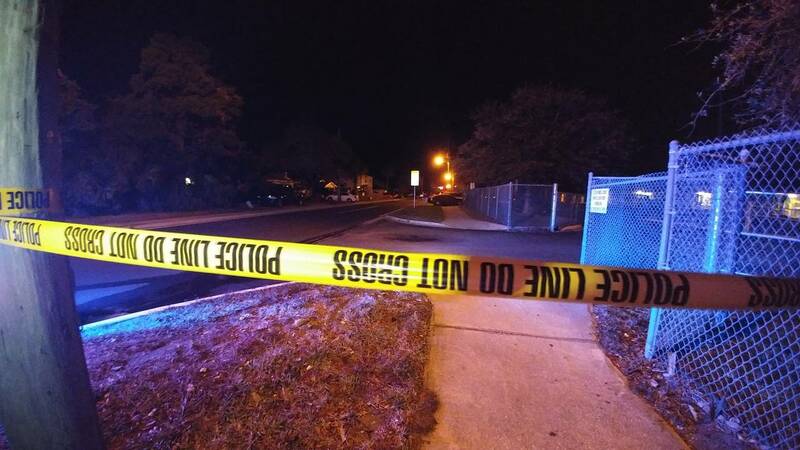 NEPTUNE BEACH, Fla. - A Neptune Beach teenager called a person of interest in his grandmother's death was taken into custody Friday night at the Canadian border, Jacksonville police announced. Logan Mott, 15, was detained by U.S. Customs and Border Protection agents after trying to enter Canada from near Buffalo, New York, according to the Sheriff's Office. The news came hours after the Sheriff's Office said police were looking for Mott and his grandmother's car following the discovery of a woman's remains in a shallow grave in the teen's father's backyard. Authorities are awaiting positive identification and cause of death from the Medical Examiner's Office, but police said the remains appeared to match the description of Kristina French. French, 53, and her grandson went missing this week. Police disclosed at the first news conference on the case Friday afternoon that Mott and a car that looked like French's Dodge Dart had been spotted Thursday in Pennsylvania. At the time of his capture, Mott was wanted on suspicion of auto theft for taking his French's car. Police have not named him a suspect in his grandmother's disappearance. 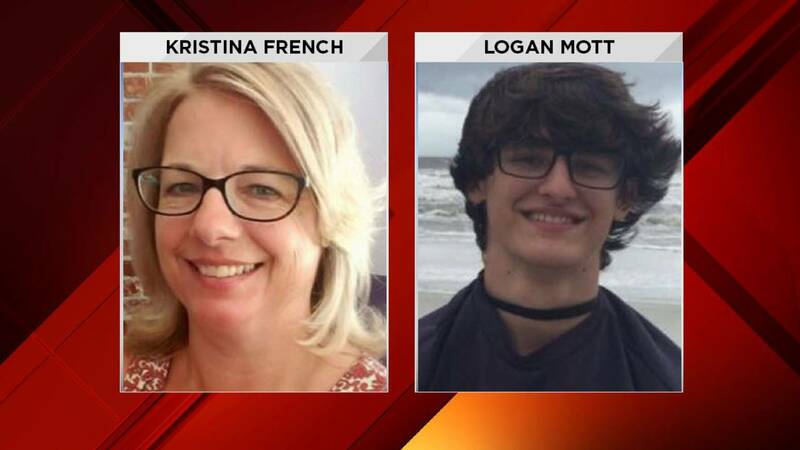 Mott and French were reported missing Wednesday after they didn't show up at Jacksonville International Airport to pick up Mott's father, a Jacksonville Sheriff's Office corrections lieutenant. The father returned to find the family's Seagate Avenue home ransacked, his son and mother gone and their wallets missing along with several guns, Mott's mother, Carrie Campbell-Mott, said. "The front door was wide open, and the house had been gone through and the weapons were missing," Campbell-Mott told News4Jax. Police said Friday that the gun safe appeared to have been damaged, and that there was evidence of "criminal violence" inside the home. 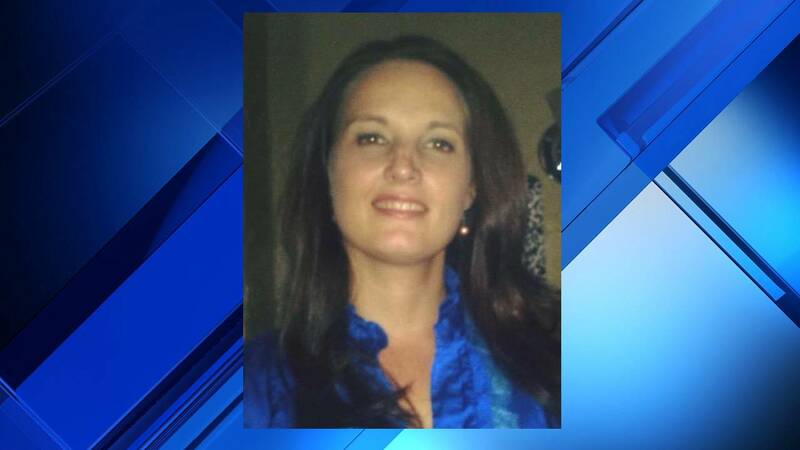 Campbell-Mott said her son, a Sandalwood High student, missed school Monday and Tuesday. She said French, a therapist with a practice catering to autistic children at the Beaches, wasn't at work those days, either. Campbell-Mott said her son's father got a text from French on Tuesday, confirming plans to pick him up at the airport. “We don't know for certain if that was her or not at this point,” she said. “He’s had some problems over the last couple of years. It’s just been a tough time for him, transitioning from one school now to high school, and he’s in the early college program, and that’s really intense,” Campbell-Mott said. Campbell-Mott told News4Jax that the last time she spoke to her son was Sunday night, and everything seemed fine. Campbell-Mott, who also has three young children, said her son had been asking about possibly moving to Missouri to live with her instead. 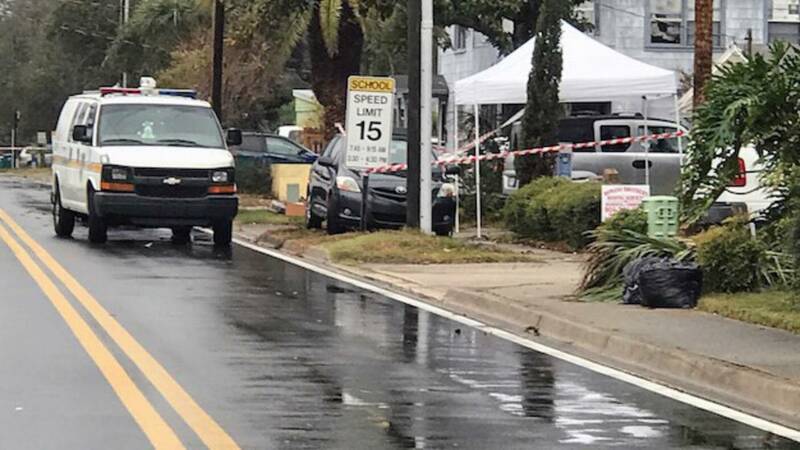 Along with the home on Seagate Avenue, which remained surrounded by crime scene tape Friday, police also investigated a home on South Nipigon Avenue in Mayport where French had recently moved. A mobile crime scene command center was seen at the Seagate Avenue property Friday, and SKY4 drone video showed two tents set up in the backyard. Campbell-Mott's post included a message to her son about how much his family loves him. 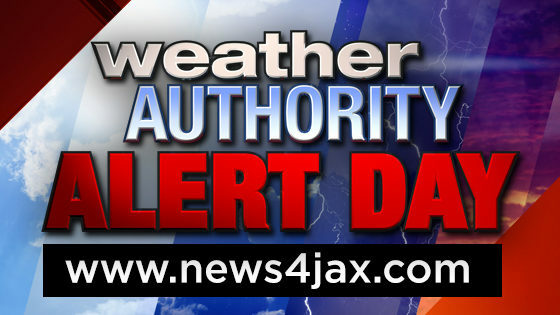 News4Jax crime and safety analyst Gil Smith said at this point Mott is only a suspect in French's auto theft. Since he's only 15 years old, he doesn't have a valid license and was driving illegally. "He’s driving illegally, and that’s what they have for him now. But of course, they want to speak with him about what happened in the home," Smith said. The main thing they’re (police) looking for now is to see if there were other people involved," Smith said. "Was Logan Mott by himself? Were there other people that came in? Were friends involved? Were there strangers?"